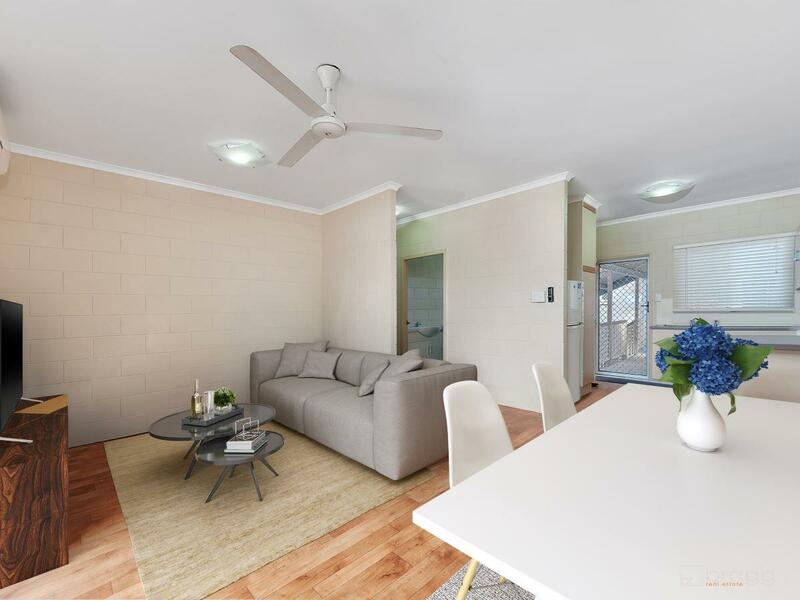 Located on the top floor, this low maintenance unit presents an outstanding opportunity for first home buyers, investors looking for a solid asset to add to their portfolio or anyone looking to downsize. Filled with natural light and modern tones the living, dining and kitchen integrate as one with a comfortable amount of space in this open plan home. The spacious kitchen contains ample bench and cupboard space while the central living area of this functional design flows out to a small private balcony that provides views of the pool. Both bedrooms are great in size and contain built in robes with storage, while the bathroom provides great space and an internal laundry. FOR THE INVESTORS OUT THERE: This property is currently tenanted at $220/week providing an amazing approximated 8.8% - 9.9% rental return! Conveniently located across the road from local shops including IGA, McDonalds, Butcher and Child Care Centre and only a stones throw from the City this property is a must to see! Contact our experienced sales team for more information!